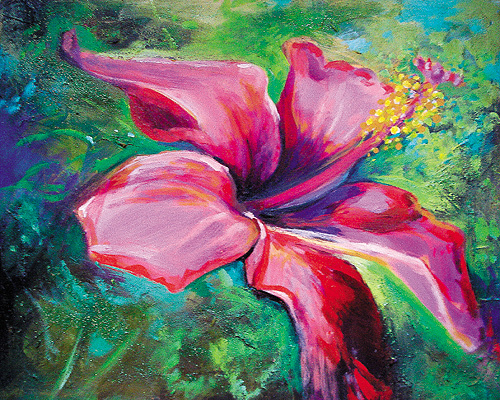 This was a recent fine art commission of a red hibiscus painted with acrylic on 16"x20" gallery hardboard. Sparkly! 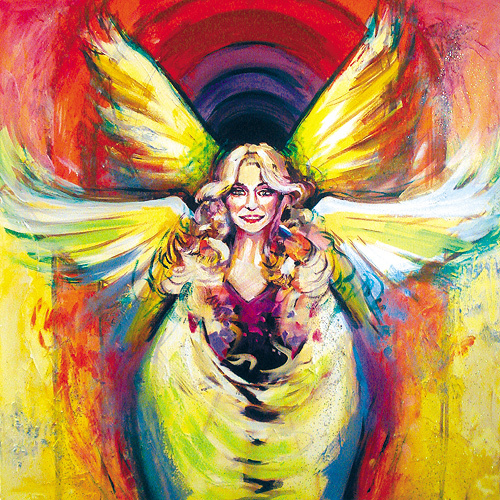 "The Angel" is a new painting by Bethany Vanderputten in tribute to the one and only MADONNA, who shines like the sun. Painted to live music at Imagine Church at the Calgary Dream Centre on Sunday, November 20, 2011. "The End" is part of my tribute to musical artist Alicia Keys, watch for the full series on my web site coming soon. As a companion to Anthony Kiedis, my painting "The Guardian" speaks of Anthony's relationship with Flea and their journey through dark places. This is part of my tribute to the Red Hot Chili Peppers. This was a recent commission of a Dominican Republic sunset painted with acrylic on three 12"x12" Gallery Hardboard panels. 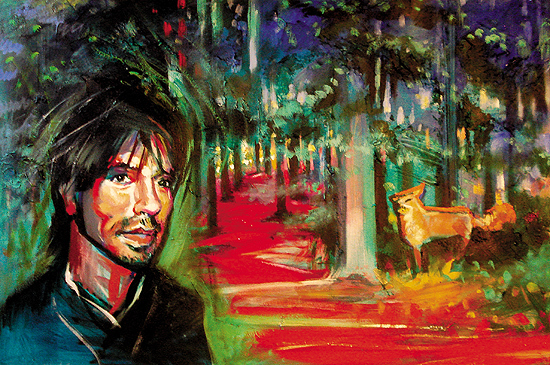 My latest painting is a tribute to Anthony Kiedis, lead singer of the Red Hot Chili Peppers. I believe he has a unique voice that spurs young men into action with the ability to shepherd them through dangerous places. 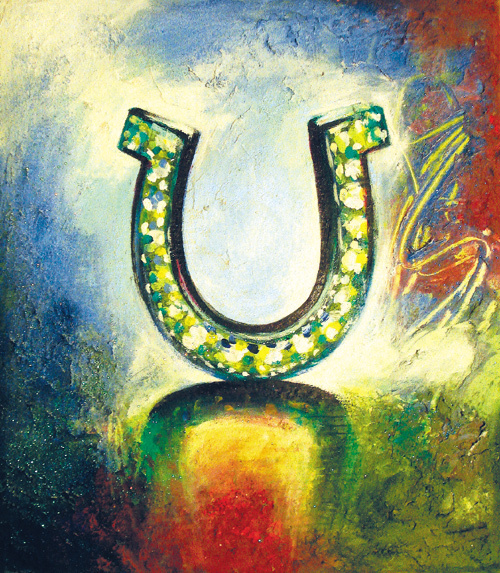 This painting explores that idea. Painted live by Bethany Vanderputten at the Tehillah Monday Dimensions Conference on Sunday, November 6, 2011 to the live music of Jason Upton. The danger of commemorating an artist like Amy is that there is a tendency to dismiss her talent because of the way she lived and died. I believe she is England's rose and God made her to shine eternally for Him. 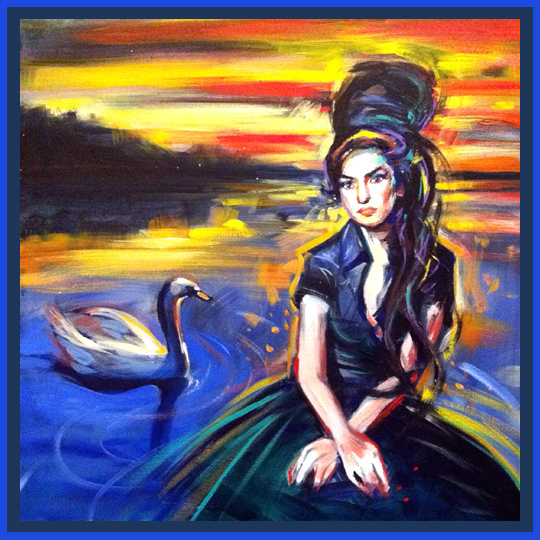 In this painting I explore these themes. 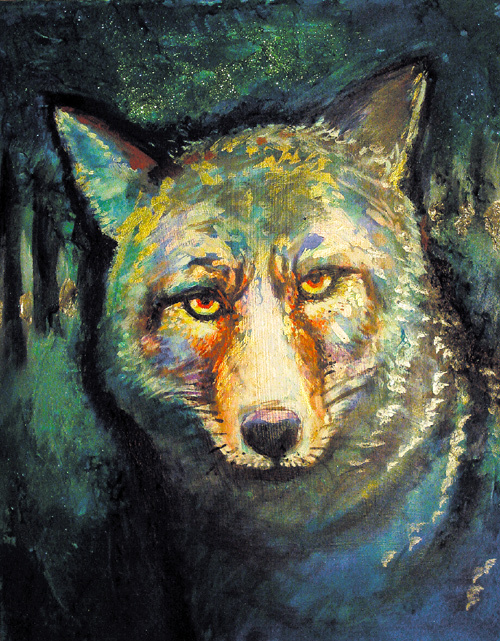 Painted live by Bethany Vanderputten at the Tehillah Monday Dimensions Conference on November 5, 2011. ...more art tomorrow!